Back pain is experienced by everyone at least once in their lifetimes, whether you lead an active lifestyle or rarely exercise. However, despite its widespread nature, back conditions aren’t issues that you have to live with. Here we reveal the common back conditions that can make everyday activities a real pain and what treatment is available via back pain + sports medicine clinics like us. Unlike many back conditions, ankylosing spondylitis is a chronic condition that requires continued treatment. The condition involves the inflammation of the spine causing pain, swelling, stiffness and fatigue. Whilst in many cases these painful symptoms get better with time, physiotherapy, painkillers (i.e. non-steroidal anti-inflammatory drugs, codeine and anti-TNF medication) and surgery can be accessed at a back pain + sports medicine clinic to relieve symptoms and restore spinal movement. Often referred to as a herniated disc, this condition can cause severe pain and weakness as the nerves become increasingly compressed and damaged. Common in people with poor posture and obesity, slipped discs can also occur in individuals that lead very active lifestyles, particularly those who practice weight bearing sports. Visiting a specialist back pain + sports medicine clinic in Harley Street such as Kuer Physio will ensure you access the treatment you need to live life pain-free, with physiotherapy, osteopathy, chiropractic care and medication readily available. Also known as frozen shoulder, adhesive capsulitis causes pain and stiffness within the shoulder and can last for months and even years without the right treatment. Depending on the severity of your condition, which will be identified during diagnosis, a course of treatment can be administered. Early stage treatments however rely on a course of painkillers and corticosteroid injections to reduce pain and treat inflammation. If you or someone you love has suffered from joint pain, you know it isn’t pretty. Joint paint can result in either long term or short term aching or sharp jolts of pain in the joints. Joints are the connections between bones, and as you may assume, absolutely vital in everyday function. When one of these joints becomes injured, you are in for a world of hurt. Literally. 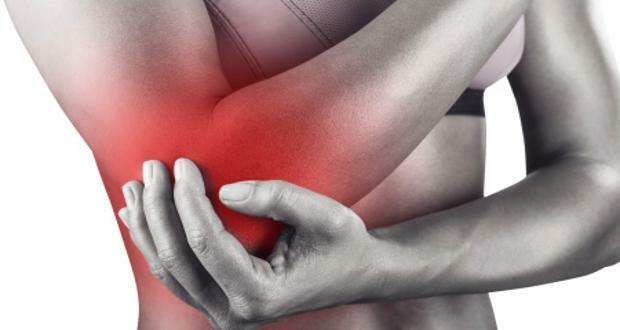 Many of the pain associated with these regions are actually caused by other diseases such as rheumatoid arthritis, osteoarthritis and general sprains and strains. Each injuries severity can range from somewhat bothersome to entirely debilitating. Depending on what is affected at the time and how far along it is in damage. If you are experiencing inflammation, trouble with motion in the joints or tenderness in the joints, it may be time to seek a doctor or specialist who can help with arthritic or joint pain. These are all symptoms of joint pain in individuals. Some also have trouble bearing weight upon the joint. If you have experienced problems that occur for more than a week, it is likely that you will need a medical evaluation for your joint pain. In order to treat this pain, you have in the region, the doctor will first attempt to figure out what is causing the pain and then attempt to treat the pain itself. You will be asked when the pain originally started, after what tasks, and the degree of pain you are experiencing. Bloods tests and X-rays will often be conducted to diagnose what may be wrong. Arthritis is a big cause of joint pain in individuals. Over 22.7 million adults have some form of arthritis and 67 million will eventually be diagnosed with arthritis in their lifetime. Here are some of the ways you can manage and prevent pain in your joints. Some everyday activities you can do to improve your joint pain are to adjust your position frequently, take breaks periodically and walk around and avoid sitting for long periods of time if possible. Doing all these things will allow joints to move more and minimize stiffness. Exercising frequently will ease some of your pain, but you must choose the right kinds of activities. Exercises that involved running, jumping or high impact aerobics can further damage to the joints. Repeated movements and stress on the same joints can also worsen pain and damage. In addition, you can help with joint pain by managing your weight and smoking less. The extra weight you have may be very hard on joints and cause complications with arthritis. Smoking irritates connective tissue, leading to more pain. If you are having trouble managing joint pain itself, you may choose to take over the counter medications or apply topical analgesics to reduce pain. Other common treatments involve relief through acupuncture, which involves insert needles into the site of the pain for relief, and applying hot and cold pads to aching areas. These items can also help minimize swelling. Both are great for minor to major pain in the joints. You may want to avoid a few things. First, do not downplay or avoid severe symptoms. Visit your doctor or speak to a specialist such as Mike Squirrell if symptoms worsen or are unbearable. Do not try to cope yourself. Do not focus entirely on the pain of the injury, as this will really take an effect on your mood and health. Many experience depression. You may want to talk to your doctor if you find your dependence on over the counter medications becoming excessive. Joint pain is no fun for anyone, but with the right treatments and options, joint pain can become easier and more bearable. What are the symptoms of arthritis to look out for? What ages does arthritis most commonly occur in? While there are many tips for living with arthritis, Arthritis sufferers are now being offered fresh hope to manage and cure Arthritis. 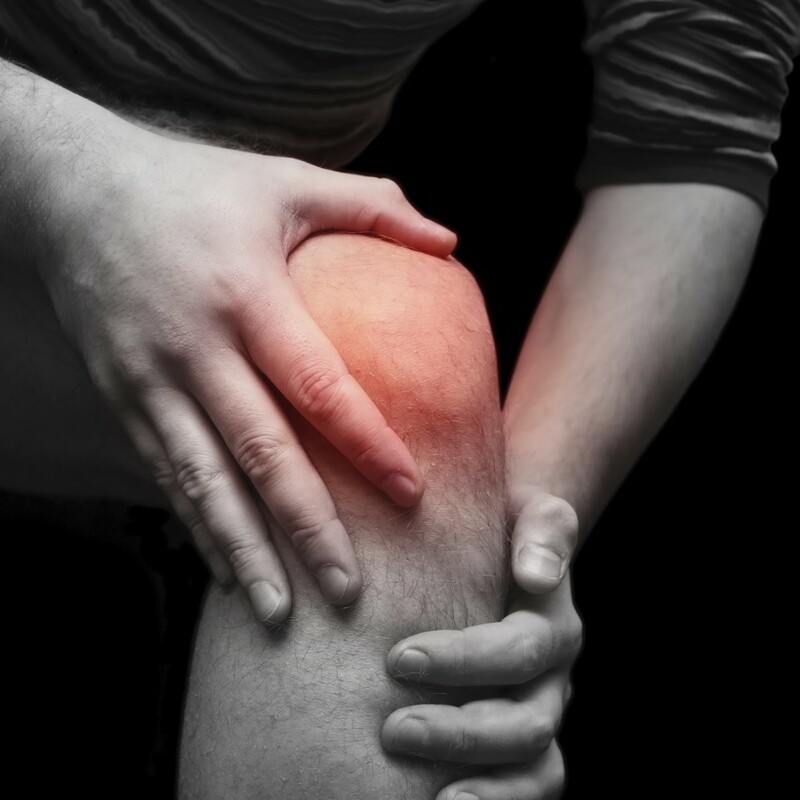 At Kuer Physio Harley Street we understand how painful and restricting arthritis can be. We diagnose and offer interventional pain medicine for arthritis. We are not just your conventional clinic but are regarded as London’s Leading Pain Consultants. So give us a call today for that life changing solution to arthritis. Disc referred pain is often characterized as achy and dull; it tends to vary in intensity while moving round the body. From the disc in the lower back, it may radiate into, the buttock, groin, upper thigh and pelvis. What causes disc referred pain? 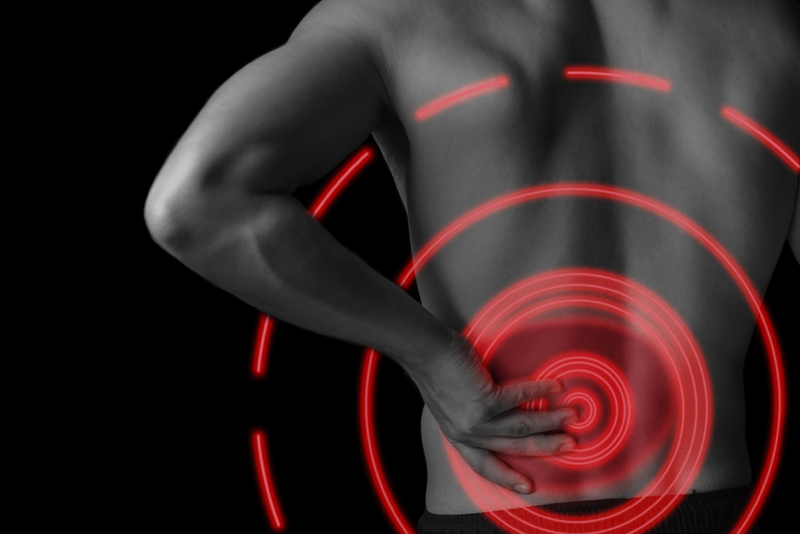 This kind of back pain is caused by injury to the disc or to any of the interconnecting sensory nerves of the lower back. A typical example of a disc referred pain is the degenerative disc disease ‘dehydration’which can cause referred pain to the posterior thighs and hips. Dehydration begins to occur at the region of the intervertebral discs as age sets in. In other words, the disc will begin to degenerate while an unusual loss of water, inflexibility that only allows for small movements will be experienced. As a result of these effects, pain can be caused from the disc which may even extend downwards to the legs. This is known as degenerative disc disease, a form of disc referred pain. Low back pain, foot pain, and leg pain are primary symptoms of disc referred pain. Apart from these common symptoms, there are other common examples of referred pain such as arm, neck or shoulder pain which are caused majorly by heart attacks and because the brain can no longer be determined where exactly the pain is coming from, the pain will be felt more vaguely in several areas of the body. Referred pain which is poorly localized is typically characterized by dullness and ache. Referred pain can be very difficult and complex to accurately diagnose and treat effectively. The spine, which has got a marvellous anatomical structure, function and form, is a part of the body that is vulnerable to injury. The reason for this is that it is subject to twisting, and torque which are strong forces that can cause back pain. Some others include sudden jolts and regular stress such as may be from poor posture. All these can tell on the disc space which is a major cause of back pain. So as a result of an intervertebral disc problem, pain can be felt in another part of the body. This is what disc referred pain is all about. For instance, if a patient is suffering from a herniated disc problem or has a bulging disc in the lumbar spine (low back) referred pain can be experienced in the leg. This kind of problem is known as sciatica or lumbar radiculopathy; it is a kind of a shooting pain that radiates from the buttock to the leg and even to the foot at times. It often affects only one leg. For the treatment of disc referred pain, it is important that a professional specialist is contacted whose job is to perform an accurate diagnosis of the root cause of the problem so as to be able to determine the appropriate treatment plan to forestall. Generally, a non-surgical care method can be used to treat disc referred pain. As soon as the cause of the referred pain is discovered a nonsurgical treatment option can be employed. This includes, the use of ice packs or hot pads, engaging in active exercise and stretching as a form of physical therapy and the use of appropriate medications for pain relief. It is important that a day or two be set aside for a short period of rest during this period. Why not contact KUER Physio today. Physicians are available to take a thorough medical history, discuss the symptoms, carry out physical examinations and conduct a diagnostic test so as to proffer an effective solution to the pain. Workplace accidents happen every day, it could happen big, grabbing the attention of everyone or it could be minor, causing only little damage; it could also happen in ways that are not readily noticeable, for example, posture accidents due to sedentary working positions. No matter the mode in which in happens, accidents always take their toll on different parts of the body, thereby jeopardizing the well-being of the individual. 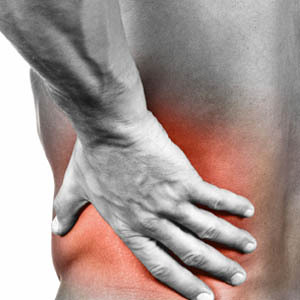 Back injuries can be caused by several factors or events occurring daily at work; ranging from falling to sustaining a hit to the back; it could also be as a result of bad posture while carrying out activities such as lifting heavy objects, sitting, standing, stretching (when necessary and when it is not). No matter which way leads a person to sustaining such an injury, here are a few tips that will help to manage the situation properly. It is important to understand first of all, thatkeeping a health condition hidden does not help anybody, not the sick person, or their workplace (which essentially becomes a handicappedteam). It is important to disclose injuries (especially those sustained at work) to the employers. Back injuries are very critical, the back houses the spine which, needless to say, must be treated with care. It is also worthy of note, that it is not very wise to try to work through a back injury. As the result is with any other ailment, it can only get worse; leading the sufferer to go through more pain, incur more medical costs, increase the propensity to make mistakes that could endanger other workers as well as affect productivity adversely among other things. Having stated the obvious, back injuries need to be treated immediately it is discovered and by experts too. The discomfort that results from it is enough to prompt a search for treatment, but not just any kind of treatment will do. Again, the back is very sensitive and injuries to it, if not properly handled, could have very bad effects on every aspect of the injured person’s life; as such, not just any kind of treatment will suffice, but proper specialists should be contacted. Although Do-It-Yourself treatments might be easy to access as well as cheaper, they are not nearly as effective as treatments administered by trained professionals. DIY treatments are based on a number of assumptions that may not entirely be true. Only when properly diagnosed can it be narrowed down form the multiple possible natures the back injury may take. Victims of back injuries need to help themselves by taking treatments prescribed by their doctors, and most as well adhere to rest periods suggested. If a complete recovery is to be made, doctors’ instructions have to be followed to the letter. Flouting them will only lead to more complications and increase the amount of time it would take to recover. Another very important way to manage back injuries is to ensure full recovery before making a return to work. There is absolutely no need to endanger an already injured back by exposing it to stress (even if you decide to work safe). Some lines of work (construction for example) can increase the possibility of damaging the back again, even with “light” work. The only green light to return to work is the doctor’s words and nothing less, no matter how well the injured person is starting to feel or how much the pain has gone down, the doctor is the authority and his/her words carry all the weight. Finally, it is important to warn that safe practices are not negotiable, they should be adhered to in order to prevent the re-occurrence of injuries that have healed, and regular checks are also necessary to ascertain the level of long term damage (if any) caused by the injury. Dealing with back injuries, call KUER Physio Harley Street today to help you manage it expertly and correctly and nurture you back to health and to work. Do You Need An X-Ray To Diagnose Your Back Pain? Close to 30% of all disability cases in the UK are due to back pain and other musculoskeletal conditions, determining the cause and acquiring the proper treatment is imperative to discovering what treatment is necessary to bring not only relief from the back pain, but ultimately bring a complete recovery. Those suffering with back pain must determine whether or not seek out a diagnosis through their GP or to seek out a private back pain clinic in London. Not many people suffering from back pain wish to live their lives having to take painkillers for an extended amount of time or in some cases potentially the rest of their life. Most painkillers come with the hazard of sometimes serious side-effects. Narcotic painkillers are risky because they often lead to addiction. Finding the answers and help they need can sometimes be difficult. Whether or not an X-ray is needed to diagnose back pain is something that ultimately needs to be assessed by a patient’s doctor. A thorough initial consultation with a physician who specializes in back pain and musculoskeletal conditions should be the first step. Back pain caused by muscle strain will probably not require any kind of X-ray, as the back pain from staining back muscles are typically easy to diagnosis by simply by asking the correct question. Those suffering back pain radiating from an unknown origin become depressed and at time even powerless in their ability to complete the simplest of tasks. Something as typical as lifting up a child or grandchild to give them a hug, carrying out routine household tasks, tending to a cherished garden, etc. Those things that give purpose and meaning in having quality of life. There are numerous types of back pain ranging from shooting pain in the back that can go into one or both legs, a burning pain generating from one particular area in the back, or a hot more intense burning pain radiating from the upper, middle or lower back. Even though it’s in most cases for the back pains because being due to a serious ailment or serious damage, without proper diagnosis it’s difficult to discover the cause. To learn whether or not a person needs an X-ray to diagnose or assist in diagnosing their back pain will begin with the answering of some general questions from their health care professions. What kind of lifestyle the person has, what kind of tasks do they perform at their place of employment, when did the pain start, how long has the back pain been around a problem, has the patient been in any serious accidents, etc.? Next the physician will examine the patient to determine their capacity to sit without difficulty, to stand for a long period of time or what their ability is when lifting their legs. He will test their range of movement within their back, are awkward movements the source of pain flare-ups and so on. After these inquiries are sufficiently explored, the level of pain experienced, the inability to sit, move or stand will then be measured. After the examination the physician will then determine of having and X-ray is the next step of the process to gain a diagnosis. There are also some ‘red flags’ that would immediately require not only an X-ray but blood tests. If the patient has recently suffered an onset of bladder dysfunctions, suffering leg weakness, numbness between the inner thighs or back pain that has been ongoing for more than a month and when the patient has had back surgery previously. The KUER for back pain? The best course of action is to contact a back pain clinic that specializes not only in back pain but one who also offers all the needed tests including x-rays within their clinic. Harley Street Physiotherapy is located in London and they have a great reputation for being able to help those suffering from all types of back pain. Call Kuer Clinic today to find out if getting an x-ray to diagnose your back pain is needed, will also provide assistance to manage your pain.